Where there are a plenty of players amid cut-throat competition to stay ahead of one another, it is the service that matters. Following this trend, domestic mobile handset manufacturer LAVA recently announced a 2-year warranty for its major models in India, across smartphones and feature phones. It maintained the 2-year warrant would apply to all future launches. The company claims it’s a promise that is the first of its kind in the Indian mobile handset industry. The Noida-based handset maker is all set to stay afloat in the competitive low-cost mobile market in the country. The company has operations in Thailand, Nepal, Bangladesh, Sri Lanka, Pakistan, Indonesia, Mexico, West Asia, Russia and Egypt. A few months back Lava launched four smartphones – Z60, Z70, Z80 and Z90 – in its Z series in India in the price range of Rs 5,500 and Rs 10,750. The company also announced the ‘Money Back Challenge’ where people will get their money back if they don’t like any of company’s phone within 30 days of use. All these to create awareness for a better after sale service deal to customers, feels Sunil Raina, chief marketing officer, LAVA International Limited. eight years. 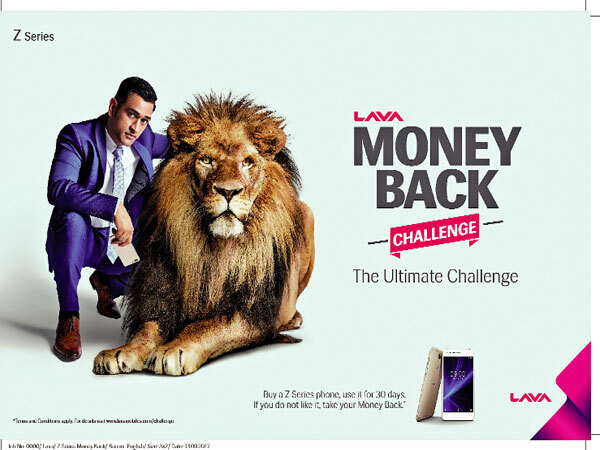 “Through the LAVA Money Back Challenge, we wish to provide confidence to our customers about the quality, reliability and experience of LAVA phones,” he adds. It aims to grab eyeballs in the sub Rs 10000 category. With Chinese players providing better value propositions to consumers, Indian handset makers have realised how product experience and quality are important for them to stay relevant. A recent IDC survey showed how Xiaomi has toppled Samsung from the number one spot in market share in top 50 Indian cities during the third quarter of 2017. Samsung, Lenovo (plus Moto), Oppo, and Vivo have occupied the rest of the spots in top 5 brands sold in the country. Analysts feel the big opportunity lies in the lower end of the smartphone segment, given the vertical growth in mobile penetration in smaller cities and towns. They say while the Chinese and Koreans dominate the Rs 10,000-Rs 30,000 category, the sub Rs 10,000 segment has many takers too. They feel Indian handset manufacturers need to fast come up with innovative solutions and quality in this very segment. No wonder LAVA is trying to grab that spot. The handset maker feels through its new ‘Money Back’ campaign, consumers can swiftly return the phone with ‘no questions asked’ policy. “To ensure that we do not falter on our promise, the return process was designed to be the most seamless one for consumers. We ensured that the customer is not be asked to visit our service centre more than once for his refund. We introduced a never-heard-before process of handing over a banker’s cheque to the customer ‘on-the-spot’ when he/she comes to return the handset. In our post transaction closure tele-calling, we got a 99 per cent ‘Highly Satisfied’ score from our customers,” Raina explains. While all other brands have been doing feature-specific communication, LAVA decided to break the clutter and focus on establishing its product quality through this campaign. O&M has been the creative partner for TV spots, featuring brand ambassador and ace cricketer Mahendra Singh Dhoni. The commercials have been produced by Method Productions and were directed by Lloyd. “With this campaign coupled with festive sale, we saw an upsurge in sales and an increase of 67 per cent in revenue growth. Our entry level Z series phone – Z60, got established as a leader device in its category (5’’ 1GB category below 6k) with a market share of 35 per cent,” he claims. LAVA’s growth strategy is based on limited number of products. Over last 8.5 years, it claims to have invested in the three areas – people, processes and values – to take on competition and grow in a volatile industry. With a complete in-house R&D set-up in India and China, it claims the products made in India have a product failure rate (PFR) of 50 per cent lesser than the same products made in China. According to him the brand positioning of “Reliability” is based on core values like integrity, passion for excellence and adaptability. He says the single-layer distribution structure and cash-and-carry model are LAVA’s biggest strength. “We have a well-built and robust distribution network with over 1200 distributors, 1,65,000 retailers and will continue to focus on it,” he adds. Lava offers devices at the same prices across all platforms, be it online or offline. The handset manufacturer is known to be adopting a ‘direct-to-retailer’ model by building an army of at least 700 personnel to monitor the market by directly touching outlets that sell LAVA phones.